Will it someday be possible to build new, fully functional human hearts and other organs, vastly broadening the horizons of organ transplantation potential? Dr. Doris Taylor, PhD, FAHA, FACC, Director of Regenerative Medicine Research for the Texas Heart Institute (THI) at St. Luke’s Episcopal Hospital in Houston hopes so. The need for organ transplants continues to grow, while the supply of donor organs remains critically low. Dr. Taylor, one of the world’s leading cell therapy and cardiac regeneration scientists, joined the THI in March 1, 2012, recruited with support from the Houston Endowment. She and her team are internationally renowned for their research on “whole organ decellularization,” in which they’ve demonstrated that they can remove the existing cells from hearts of laboratory animals, and even humans, to leave a framework for building new organs. By repopulating the framework with other human adult stem cells and giving it a blood supply, the heart regenerates, taking on the characteristics and functions of a revitalized beating heart. The hope is that Dr. Taylor’s research is an early step toward being able to grow a fully functional human heart in the laboratory. Dr. Taylor has demonstrated that the process also works for other organs as well such as kidney, pancreas, lung, and liver. “From molecules, to cells, to organs and tissues, we want to create solutions for people with disease,” Dr. Taylor says. A native of Mississippi, Dr. Taylor holds a B.S. in biology from Mississippi University for Women, and a Doctorate in pharmacology from the University of Texas Southwestern Medical School in Dallas. 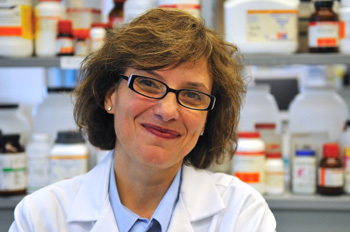 Prior to her move to Houston last year Dr. Taylor had been serving as director of the Center for Cardiovascular Repair and Medtronic Bakken Chair in Integrative Biology and Physiology at the University of Minnesota, and before that she was an Associate Professor in Cardiology at Duke University Medical Center. Dr. Taylor is involved in both laboratory and clinical studies using cell therapy to treat disease, and research foci include cell and gene therapy for treatment of cardiovascular disease; tissue engineering of bioartificial organs and vasculature; cell-based prevention of disease; stem cells and cancer; and holistic approaches to using cell therapy for treating chronic disease. Her work involving “whole organ decellularization,” Dr. Taylor and her team have demonstrated the ability in the lab to strip organs, including the heart, of their cellular make-up, leaving a decellularized “scaffold.” The heart can then be re-seeded with human adult stem cells immunologically matched to the patient and giving it a blood supply, the heart regenerates, taking on the characteristics and functions of a revitalized beating heart. The hope is that this research is an early step toward being able to grow a fully functional human heart in the laboratory, which if it can be achieved would revolutionize the field of organ transplantation. Almost 5 million Americans live with heart failure, with more than half a million new cases diagnosed annually. Many die each year while awaiting a heart transplant and for a decade or more, only about 2,200 heart transplants have been performed annually in the entire United States, addressing a waiting list of about 3,500. The need for transplants is obviously vastly greater than the availability of donor organs. 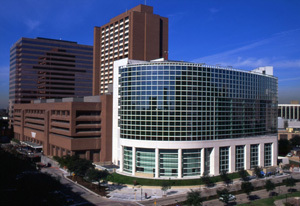 In 2010, in its annual survey of “America’s Best Hospitals,” U.S. News & World Report ranked the Texas Heart Institute at St. Luke’s Episcopal Hospital number four in the United States for heart care, making this its 20th consecutive year as one of the top 10 heart centers in the country. Texas Heart Institute has been chosen as the Biorepository Core Lab for the national network of cardiovascular stem cell research centers, the Cardiovascular Cell Therapy Research Network (CCTRN) directed by Dr. Taylor, and in that capacity THI will store, catalog and make available for approved research adult stem cells to laboratories throughout the nation. Ms. Peota relates that, as a post-doctorate student at Albert Einstein College of Medicine in the Bronx, Doris Taylor became interested in cardiac cells. At the time, it was believed that heart muscle couldn’t heal on its own because it was incapable of either cellular turnover or cellular repair. However, she began experimenting with gene therapy, and in exploring the possibility of coaxing heart cells to divide, she began to wonder if there was there something that could be transplanted into the heart that might replace damaged cells? However the late 1980s stem cells were not yet on the radar of very many researchers. It was understood that bone marrow and blood cells could generate more bone marrow and blood. But few scientists imagined that immature cells could make other kinds of tissues as well. However, in an article published in Nature this week, entitled “Tissue engineering: How to build a heart,” Brendan Maher notes that the process of regenerating human organ tissue is fraught with tremendous challenges, noting that growing solid organs such as kidneys or lungs means getting dozens of cell types into exactly the right positions, and simultaneously growing complete networks of blood vessels to keep them alive. They must be sterile, able to grow if the patient is young, and at least nominally capable of self-repair. And of course most importantly, they have to work — ideally, for a lifetime. A human heart is a complex structure beyond the reach of even the most sophisticated machines must beat constantly to pump some 7,000 litres of blood per day without a back-up, with chambers and valves constructed from several different types of specialized muscle cells called cardiomyocytes, and intricate networks of capillaries to supply the organ with oxygen and nutrients, and to remove waste products from deep within its tissues. In order to become functional, he reports, beating cardiomyocytes require more than just oxygenated media and growth factors, and researchers must put the heart into a bioreactor that mimics the sensation of beating to help to synchronize the beating cardiomyocytes seeded on the scaffold, combined with physical beating motions induced by a pump), but are faced with a constant battle in trying to synthesize conditions in the human body such as changes in heart rate and blood pressure, or the presence of drugs. Dr. Taylor acknowledged to Mr. Maher that as yet “You can’t get adult cardiocytes to proliferate. If you could, we wouldn’t be having this conversation at all” — because damaged hearts could repair themselves and there would be no need for transplants.